Jordnära Miljökonsult AB offers environmental consulting services with expertise regarding contaminated soil, water and buildings. We provide strategic, solution-focused and sustainable consulting and environmental engineering investigations for those who develop, design, manage, operate or buy and sell real estate. Our focus is to understand your needs and deliver material on which you as a customer feel secure to make decisions. We seek practical solutions and a clear dialogue together with you as a customer in your everyday life. For decades, human activity has been the cause of pollution in our environment. We examine, investigate and make assessments of the risks with these pollutants and, last but not least – recommend practical and smart solutions to your problems. We help and guide you through the entire process from investigation to completed remediation, through planning processes and permission processes with public authorities. 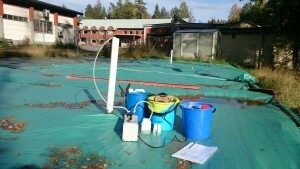 We work with all kinds of pollutants in soil, groundwater, surface water, sediment and buildings. Projects concerning contaminated sites are often complex and require a range of skills and experience. Thanks to our extensive experience, good partners and a large network we are able to find solutions for most projects of any size and complexity. Our aim is to design a unique solution that suits your specific project. Jordnära Miljökonsult currently has offices in Lidköping, but we work all over Sweden. According to specific needs we can optimize resources by putting together project groups with consultants in other locations.